Parts Used: From the hip to the head of the roots, leaves, and seeds. Active Compounds: Bergapten, Borneol, Coumarins, Linalool. Contains 1% volatile oil, angelic acid, sugar, resin, valeric acid, and bitter principle. Oil of the seeds contains methyl-ethylacetic acid and hydroxymyristic acid. 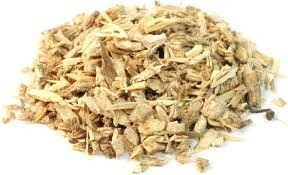 Angelica balsam is derived from the roots.